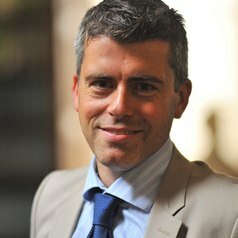 Professor Kurt Allman is currently Director of Keele Management School. He has significant experience of enterprise both in the UK and Europe, principally at some of the UK’s leading universities and international consultancy businesses. Kurt’s engagement and research interests have particularly focused on technology and science SMEs. Over the last decade he has worked with over 1000 companies, including some of the region’s most dynamic start-up businesses as part of his role as Director of Knowledge Exchange through the IDEAS collaboration (involving Manchester, Liverpool and Lancaster universities) at the STFC’s Daresbury and Harwell Science Innovation Campuses. Kurt has written and contributed to numerous publications, as well as regularly refereeing journals in the area of enterprise, entrepreneurship and the role of emergent technology in transforming business practice. Kurt’s teaching promotes synoptic learning through the use of live company projects, which has won accolade from the Higher Education Funding Council for England and the Department for Business Innovation & Skills. Kurt has extensive experience of international collaborative projects aimed at supporting social cohesion and regional economic development. Early stage entrepreneurship and pre-incubation strategies. Regional economic policy and indicator development. SME engagement and knowledge exchange. Organisational capabilities and business model development. Kurt has experience of managing over 10,000 sq. ft. of pre-incubator space both on and off campus primarily for early stage business support, resulting in over 80 new business formations and numerous spin-ins. As well as this, through previous roles, he has initiated, developed or supported a number of Knowledge Transfer Partnerships across the Northwest. Kurt has been an A-level Business Reform Expert Panel member, affecting over 27,000 students per annum. Kurt is also one of a few select academics that delivers on Rolls Royce’s Excellence Through Project Management Programme, a course designed for their graduate training programme. Kurt has contributed to the programme for over 7 years. Prior to commencing an academic career, Kurt undertook a significant amount of consultancy projects for Databank and CRISP consultancy practices. Building upon his PhD research insights, Kurt examined the impact of national and EU legislation on technology deployment across utility infrastructures. These transnational projects, focussing on the EU’s largest industrial nations, as well as new member states, provided new perspectives on the EU’s future legislative and competitive challenges across a number of crucial industrial groups. The total value of these consultancy projects was approximately €6.8 million.